Soaring to a New Height DELIVERING QUALITY CARE in the comfort of your home. Home health care has not only been proven to improve health and help speed up recovery, it is also a cost-effective alternative to hospitalization. Know your options and get advice from our care coordinator. Call 805-582-9389. 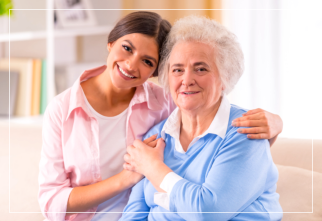 A Flying Eagle Home Health is a health care agency providing skilled health care to assist our patient’s remain in their homes. We are advocates of health and improved quality of life, and believe that the best kind of care is given at home by qualified professionals. We take particular interest in the homebound. We understand the difficulties faced when having to travel just to seek the care you need. Some even find it impossible to leave their homes, thus, putting their health and sometimes lives even more at risk. A Flying Eagle Home Health aims to lower the risk towards your health, and more. We also make it a mission to reduce hospital stays by providing a personalized care which is in line with the plan of care provided for by your physician. We will work hand in hand with you to achieve the best results and to help you live a normal, healthier life. Please browse through the links of the site and learn more about us. You may reach us at 805-582-9389. 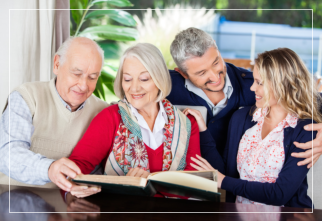 At A Flying Eagle Home Health we make sure you and your loved ones come first. 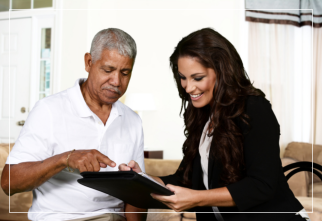 It is you who have made us a sought after home health care agency. Applications are now accepted online. Please submit your information to A Flying Eagle Home Health for further employment evaluation. We welcome your questions and suggestions. Send a message to A Flying Eagle Home Health today!